Boys navy satin adjustable cummerbund & dickie bow tie. Add a dash of style and colour to your boy's outfit with these dashing navy accessories. 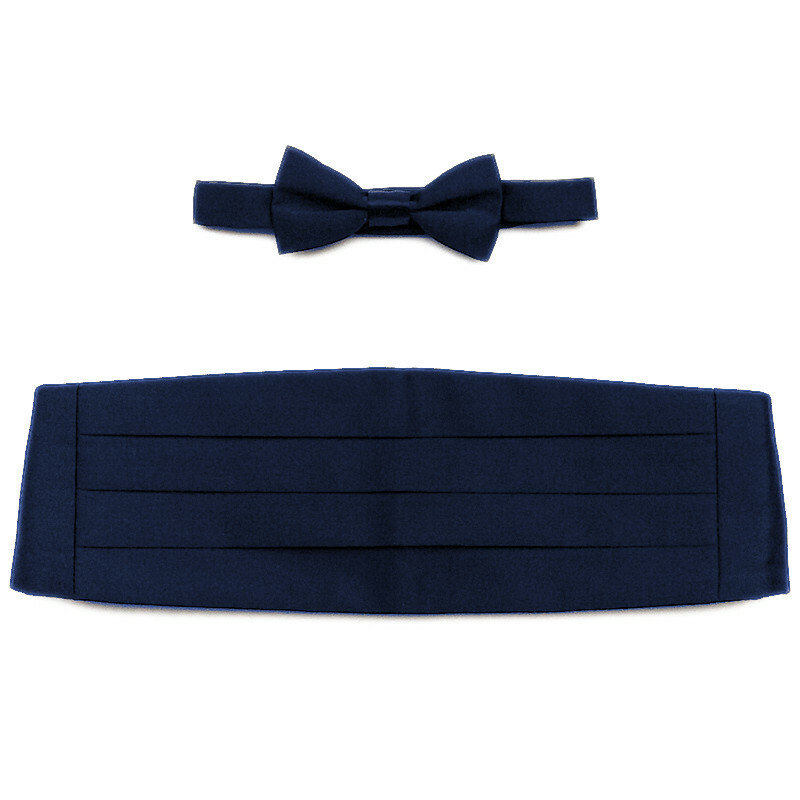 Featuring a luxurious shine, this pleated cummerbund has an adjustable clasp for the perfect fit and the dickie bow tie has a neckband with velcro fastening and is pre-tied to guarantee a perfect knot every time. Made in England - excellent quality made with 100% polyester (satin effect). Complete in a luxurious black box with clear top for storing.